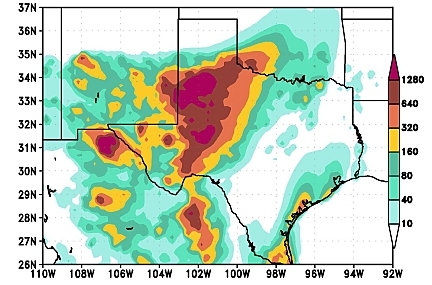 Enhance EPHTS and EPHTN decision support systems with model outputs and forecasts. 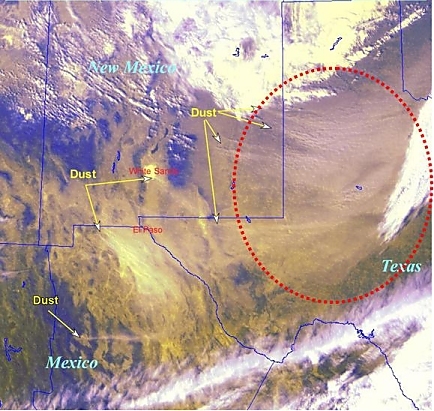 Dust observed from NOAA GOES 12 satellite at 20:26 UTC on December 15, 2003. 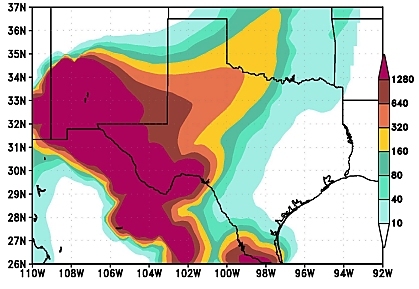 The red dashed line encircles a large dust storm in west Texas.